I alsolutely love embroidered ankle boots, every time I see a new pair I want to buy it haha. The silver ankle boots are also amazing, such a statement item! Oh my gosh YES. 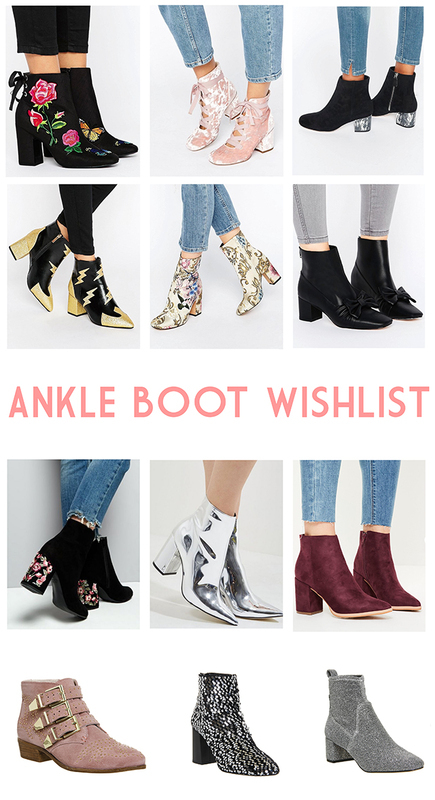 I'm all about ankle boots right now - I just can't seem to get enough! So thank you for posting this and just fuelling my love for them even more. I'm in love with those embroidered heel ones from New Look (and I actually think they're in my wishlist on the site) so I may or may not have to treat myself! I really love the pink velvet ones! The embroidered ones are so lush!